It is proved scientifically that low dose of asprin daily reduces the risk of cancer remarkably. The evidence is so strong that scientists recommend one dose of asprin daily for people who are over 40 years of age. The risk of increased bleeding is still a side effect of asprin use that limits its intake. scientists believe that Cyclo-oxygenase 2 (COX2) enzyme which is responsible for inflammation is present in higher level in cancerous tissue. 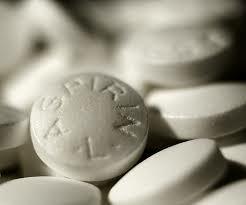 Aspirin inhibits that enzyme and helps to reduce the spread and emergence of cancer.